My goal is to challenge myself to find scents that are amazing but require more than just seeing a million positive reviews and copping it, so that my shelf looks like everyone else's. I'm willing for it to take some time, but with so many frags out there from so many companies, I need your help finding where to start! Last edited by Made in California; 9th November 2012 at 10:38 AM. I really like Angela Flanders Tuberose. There are plenty of designer fragrances which don't have reviews in the BN directory. Still if you want a niche entry I'm fairly sure Opulent Shaik no.77 doesn't have any reviews on BN, though it has a few on other sights, and it's one of the best things I've ever had the good fortune to own. Very costly, hard to find, but rewarding. Very wearable given it's origins, but for that it looses none of what makes it special. ^ Yeah, I'm aware a lot's not going to be covered. In the AdG thread Bigsly mentioned there were 1000 frags released in 2011. A crazy amount of product on the market. My point of making this thread was to narrow that down to only the ones worth pursuing, assuming I can discover more mainstream scents on my own. Yes, and they have a shop here in Sloane Square; I keep meaning to pop in. Parfum Satori - it's a woman in Tokyo who goes to Grasse once a year to imagine her perfumes and then returns to Japan to produce and bottle them. They're beautiful, elegant, and very much for the Japanese aesthetic. The Ambra Nera is a winner, as are many others from the Ortigia line. The new one, Florio, is the cleanest, freshest fragrance I've ever tried. It's full of narcissus, bougainvillea and passiflora. It's very pleasing but fairly linear, unlike the Ambra Nera which developes beautifully. For being fairly niche, it's also very, very affordable. Very much so @ $75.00 US for 100ml. My hubby gave me Ortigia lotions and soaps for Christmas. Very yummy stuff in fabulous packaging. Her website intimidates me, haha. Is there a way to order samples of her stuff? This looks like a woman's fragrance, or is it unisex? ((Tohfa)) is one of the best mukhallats I've ever come across, this one won me the most compliments. Last edited by yuyu15; 24th October 2012 at 06:12 AM. This looks like the "Orb of Isis" from The Simpsons. She gave me samples when I visited her shop, but they were so small, I swear they are 0.25 ml. ^ Only 8 bottles? Lame. Based on your review it sounds like an awesome frag I'll never own. A unicorn of fragrances. Last edited by alfarom; 26th October 2012 at 11:46 AM. 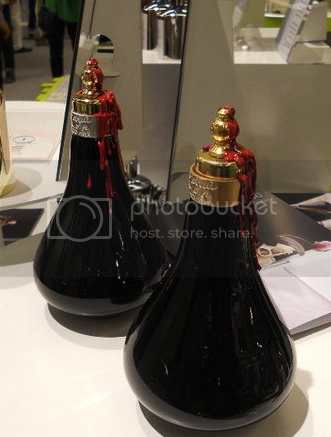 The O'Driu fragrances are gorgeous. (except Ladamo) Ive tried both Alfarom mentioned and they are stunners. They are, to me, fragrance as art. O'Driu could be considered "uberniche". Yes, the same happened to me. Seems there is a problem with their website. In my country, they have more 10 shops. Tuhfa is very expensive, around 832USD, but when I bought it they had 50% sales. No Tuhfa, but you can see prices and *actually* buy things there. How quaint. Still no way to get samples. Is there a site, even ebay, that offers them? I'm still enamored with their bottles yet I can't bring myself to spend $200 on a blind purchase that will be impossible to offload if I don't like it, hah. A site/e-store like this is nice, but is not very fleshed out. Last edited by Made in California; 9th November 2012 at 11:09 AM. Last edited by MaxHeadroom; 9th November 2012 at 07:24 PM. 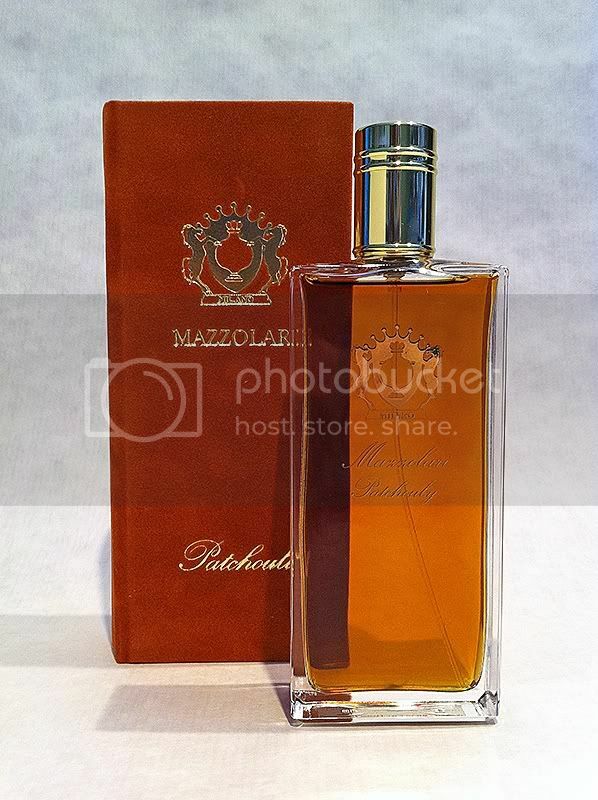 Mazzolari Patchouly by Mazzolari - a creamy, amber-nuanced patchouli. This whole LM line has some real crackers - Sensual Orchid but hey guys we got Black Oud by LM too which is really well done! We gonna hear a lot more about LM I assure you. Wood & Absinth by Mark Buxton should be added the dry down would you believe it or not reminds me strongly of Carnal Flower! Have you heard of this frag? Pick my Valentine's Day Frag! And V-Day Frag discussion! Has anyone ever heard of this one?